Whether you're making dry, sticky, French, Italian or Swiss meringue, all are made using the same two ingredients: egg whites and sugar. Variations are made by altering the quantities, the type of sugar used and the way you add the egg whites. Follow our guide to mastering meringue! 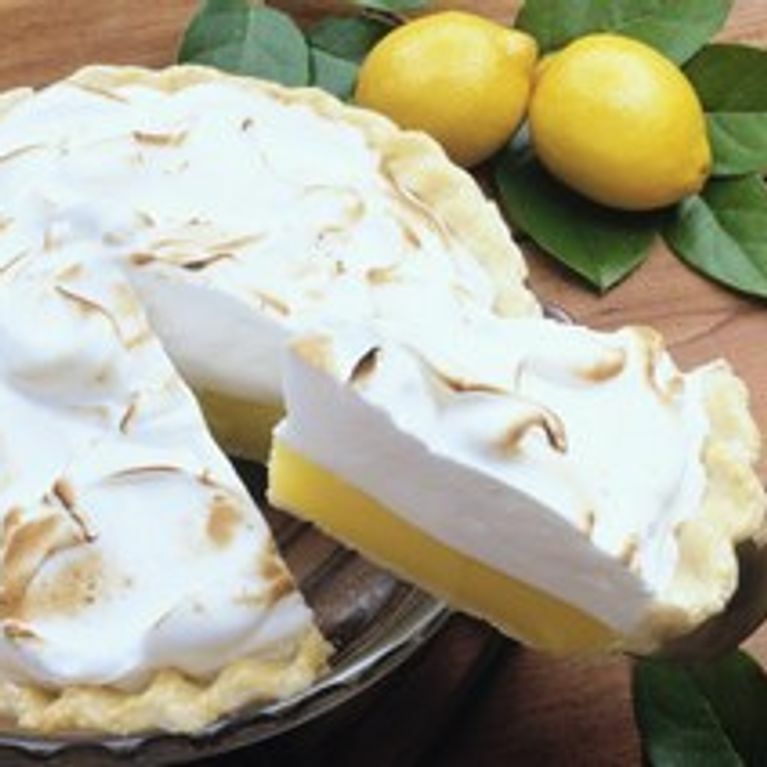 Whatever type of meringue you want to make, all are made using the same two ingredients: egg whites and sugar. Variations are made by altering the quantities, the type of sugar used and the method of adding the egg whites. They don't necessarily have to be fresh. Ideally, use eggs that are a few days or even weeks old. The eggs will be cooked, so there's no problem. Take them out of the fridge a few hours before; they need to be at room temperature. Icing sugar or caster sugar, depending on the type of meringue you're making. Tip: icing sugar contains a bit of starch, which holds it all together and can be added more quickly. Add a few drops of lemon juice so the egg whites hold together better. Use a glass or stainless steel salad bowl (plastic sometimes retains a thin skin of 'fat' that prevents the egg whites from rising correctly). If the eggs are fresh, the whites will rise better. You can also place them in an icy bain-marie: use cold water and ice cubes instead of hot water. These are useful for making little meringues. If you haven't got one, cut the corner of a freezer bag and use instead. To scrape the tray without losing an ounce of your meringue mixture, and to make them nice and smooth if you're making big ones! You need twice as much sugar as egg whites so that the meringues hold together well. Weigh your egg whites, or base your measurements on the principle that the weight of a medium-sized egg white is 30g. Add caster sugar bit by bit as you beat the eggs stiff. If you're using icing sugar, incorporate it carefully at the end. >> How to bake meringues? That's the question everyone wants answering! It all depends on the size of your meringues, oven, kitchen (the amount of humidity in it) and the texture you're after (dry or sticky on the inside). The longer you cook your meringues for and the lower the temperature, the better they will be. Anything from 60°C to 90° is fine, but avoid going above 100°C. Cooking at 120-140°C does work, but you'll end up with hollow, brittle meringues. You can also 'seal' them at a high temperature (120-140°C) for 20 minutes, then leave them to dry afterwards in the oven at a very low temperature. The secret to getting a perfect sticky centre: it's very simple, you just need to stop cooking them! Alternatively, make 2 sizes of meringue. When the little ones are cooked in the middle, the big ones will still be sticky on the inside. Beat the egg whites stiffly with the lemon juice, gradually adding the caster sugar. When the mixture has risen, is shiny and dense, carefully add the icing sugar using a spatula. Make big or small meringues on a tray covered with greaseproof paper. Cook at 90°C (Gas Mark 1/4) with the door open to let moisture escape and the sugar caramelise. Cooking time: 1 hour 30 minutes (small ones) to 2 hours 30 minutes (medium ones). The egg whites are stiffly beaten with sugar (icing or caster). These are very simple to make and you don't need to be a masterchef or use any special equipment. Weight of the sugar = twice the weight of the egg whites. Boiling sugar syrup is incorporated into the stiffly beaten egg whites (sugar = 1 to 1.5 times the weight of the egg whites). Italian meringue is quite soft. The boiling sugar cooks the egg whites, so it is difficult to make. You need a good blender, a sugar thermometer, and you need to keep a close eye on the egg whites, making sure they don't get too cold. Italian meringue is used to make white nougat and marshmallows. The egg whites are stiffly beaten with the sugar over a warm bain-marie. Swiss meringue is drier and less brittle than French, and is mostly used for decoration. Take your pick from lemon meringue pie, macaroons and many more!